As someone who’s spent a lot of time with Bryan and this rum, I thought i’d share some insights. You’re absolutely right: Inspired is not the same thing as “taste just like”. In the case of Cuban inspired, Bryan’s thinking was “less fruity, more notes introduced by the wood, like vanilla”. Basically, the reactor aging has a bunch of “knobs”, and he changes the knobs completely between the Navy, Poly and Cuban Inspired. 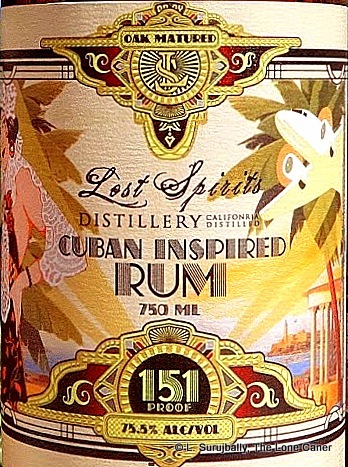 Also, it should be noted that the Cuban Inspired was the last of the “generation 1” Lost Spirited aged rums. In a nutshell, the the first generation rums, all of the aging techniques weren’t applied to all of the rum. Some amount got one technique, other amounts got a different technique, and everything was blended together in the end. Everything since the Colonial American Inspired, including the Rational Spirits Santeria, uses the V2 process. 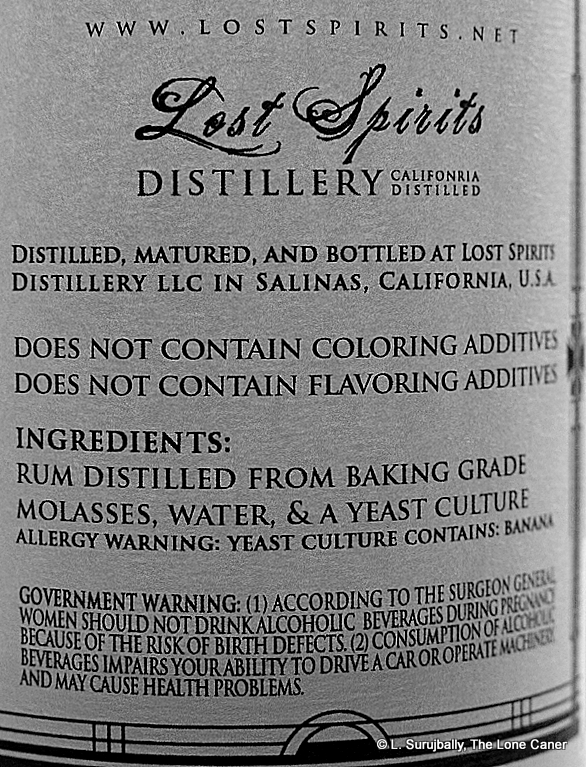 I find the V2 process to yield much less “Frankenstein” results, while still being unmistakably”Lost Spirits”. I’d suggest using the current “White Label” Santeria as an example of what the aging reactor is currently capable off. p.s. Thanks for the link to my earlier post! The fact that it is a V1, made by blending differently treated bits and pieces of rum together, may be the key to my feeling they didn’t play nice together. I imagine we’ll see some of that dissonance even out over time.